Real the full 2018 Annual Market Review here. The 2018 4th Quarter Market Review is out! This report features world capital market performance and a timeline of events for the last quarter. It begins with a global overview, then features the returns of stock and bond asset classes in the US and international markets. Also included are the returns of select countries as well as the performance of globally diversified portfolios. Click the link to read the full version. 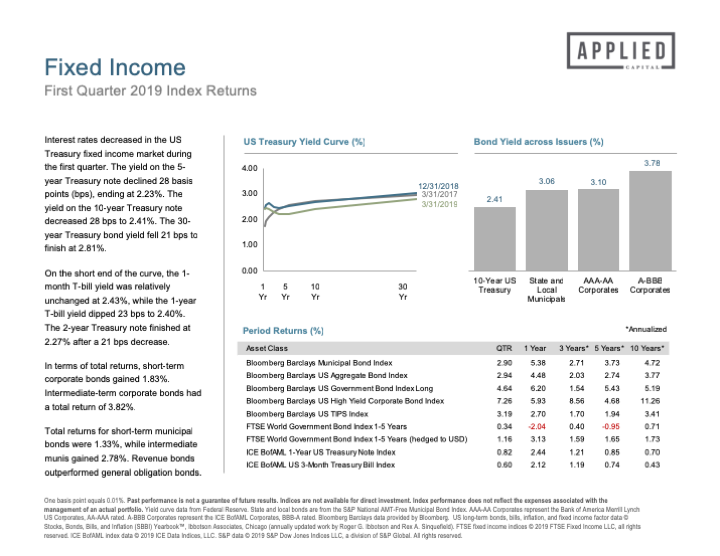 The 2018 3rd Quarter Market Review is out! This report features world capital market performance and a timeline of events for the last quarter. It begins with a global overview, then features the returns of stock and bond asset classes in the US and international markets. Also included are the returns of select countries as well as the performance of globally diversified portfolios. Click the link to read the full version. 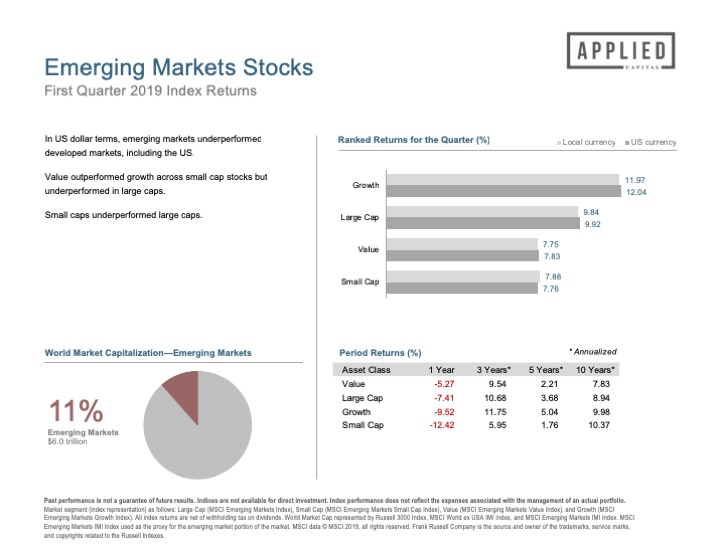 The 2018 2nd Quarter Market Review is out! Times like these with sudden yet short-term declines will tempt you to make knee-jerk reactions, even after a year like 2017 where the global stock markets rose by more than +20%. Our goal is to makes sure our clients are investors with the resolve to stay the course so they may capitalize on market-based returns over the long-term. This report features world capital market performance and a timeline of events for the last quarter. It begins with a global overview, then features the returns of stock and bond asset classes in the US and international markets. Also included are the returns of select countries as well as the performance of globally diversified portfolios. Click the link to read the full version. The 2018 1st Quarter Market Review is out! Times like these with sudden yet short-term declines will tempt you to make knee-jerk reactions, even after a year like 2017 where the global stock markets rose by more than +20%. Our goal is to makes sure our clients are investors with the resolve to stay the course so they may capitalize on market-based returns over the long-term. This report features world capital market performance and a timeline of events for the last quarter. It begins with a global overview, then features the returns of stock and bond asset classes in the US and international markets. Also included are the returns of select countries as well as the performance of globally diversified portfolios. Click the link to read the full version. The 4th Quarter 2017 Market Review is out! This report features world capital market performance and a timeline of events for the last quarter. It begins with a global overview, then features the returns of stock and bond asset classes in the US and international markets. Also included are the returns of select countries as well as the performance of globally diversified portfolios. Click the link to read the full version. The 3rd Quarter 2017 Market Review is out! This report features world capital market performance and a timeline of events for the last quarter. It begins with a global overview, then features the returns of stock and bond asset classes in the US and international markets. Also included are the returns of select countries as well as the performance of globally diversified portfolios. Click the link to read the full version. The 2nd Quarter 2017 Market Review is out! This report features world capital market performance and a timeline of events for the last quarter. It begins with a global overview, then features the returns of stock and bond asset classes in the US and international markets. Also included are the returns of select countries as well as the performance of globally diversified portfolios. Click the link to read the full version.